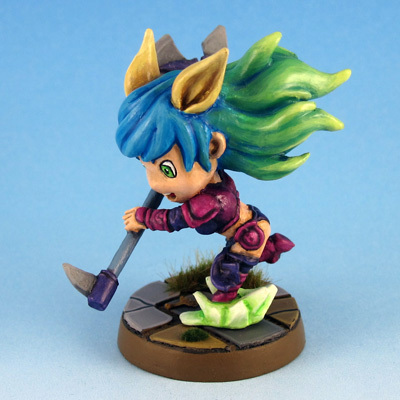 Malya is the first of the SDE Relic Knight crossover minis I painted. I stayed true to her original colors. Really like how the hair turned out. 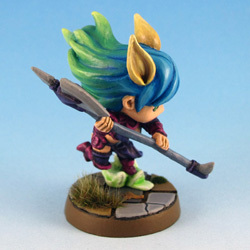 Even a racing super-star has time to sit down to a game of Super Dungeon Explore. Princess Malya brings her love of speed into the Last Galaxy’s favorite online game, zipping through the dungeon at a breakneck pace. 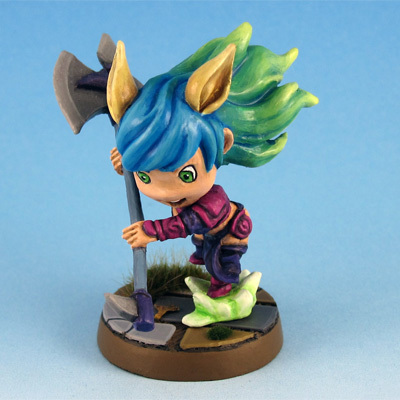 Malya slays monsters with glee, but is always willing to lend fellow adventurers a hand with the help of some creation magic.